The installation is a transposition-restauration of the graffiti from the year 1947 painted on the front of the house in the town of Velaluka (island of Korcula). On the 100 anniversary of the October Revolution it resends the message written by an anonymous artist, possibly of the year Dalibor Martinis was born. 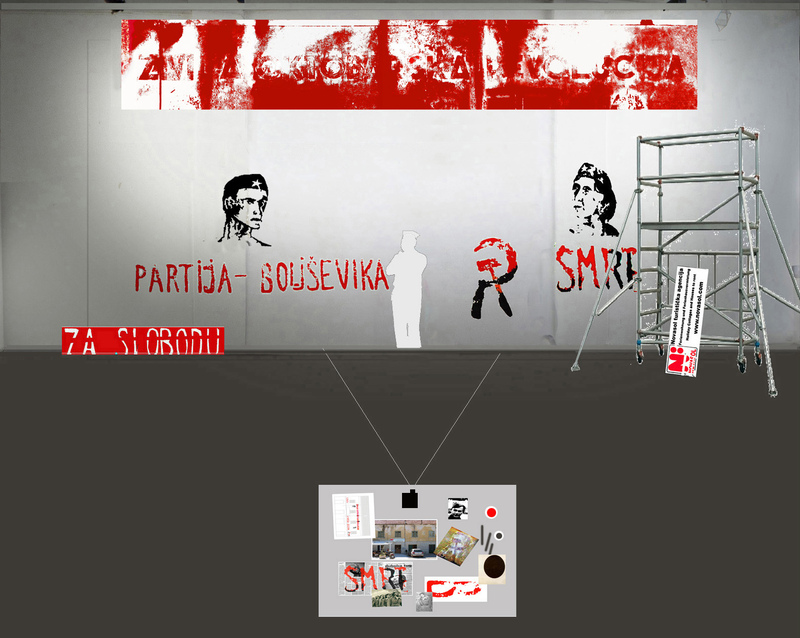 The installation records the state of the graffiti in the summer of 2007 when the written text ZIVILA OKTOBARSKA REVOLUCIJA (LONG LIVE THE OCTOBER REVOLUTION) was barely visible and projects it in the year 2027 when the facade of the house and the text will be painted over. The work will be shown in the Center for Cultural Decontamination, Belgrade in the fall of 2017.